Home sellers who have fallen on difficult times remain prime real estate clients and deserve the same level of service as any other buyer or seller. That's the view of Charl Els of the Aida Roodepoort franchise who is very active in marketing distressed properties. "Mandates issued by the four big banks for the sale of properties under pressure represent about 15% of our listings currently. "And although reserve prices of distressed properties are typically about 80% of market value, we consistently achieve at least 95% of market value. On top of that, we sell 75% of all the properties we list on bank mandates." He says tough economic conditions affect homeowners in all property classes. "We have mandates for homes across all price ranges, from R350 000 to R2m. That's a clear indication that consumers in all income brackets have been affected by the recession and the tough financial situation since then, as many forced sales are due to bondholders losing their jobs and regular income." But, he says, sellers who have to liquidate their properties remain bona fide real estate clients. 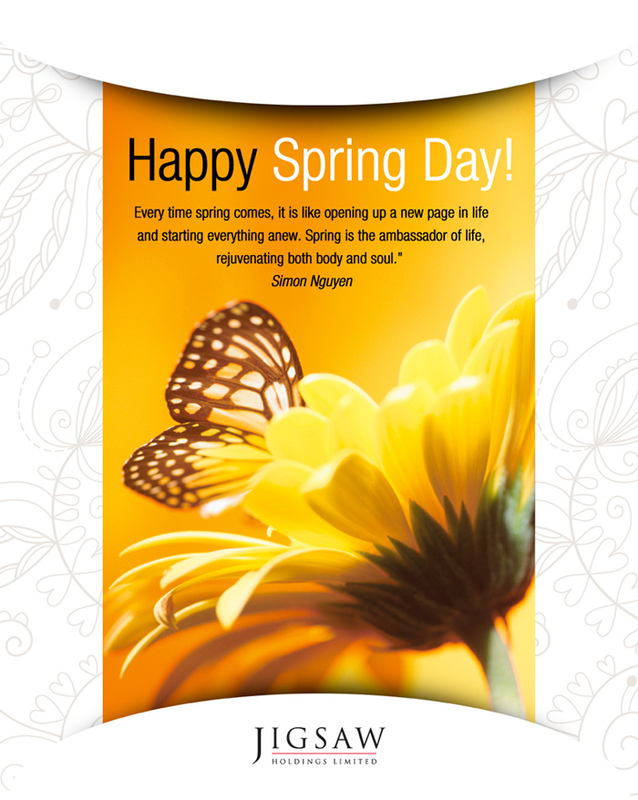 "Our view is that in spite of current circumstances such clients deserve the best possible service. Our approach is based on four considerations. The first is to achieve a fair price as soon as possible to allow the seller to consolidate his financial position. The second is to accept reasonable offers that represent up to a 5% discount on market price to expedite the transaction to the benefit of the seller, the buyer and the bank. "The third is that by actively marketing distressed properties as close as possible to current market value, market statistics are not distorted and, fourthly, we realise that distressed sellers' circumstances may change and they may well become clients again in future." Aida real estate group had a number of awards to hand out at its national awards ceremony. Pretoria North estate agent Jackie Meyer was named Agent of the Year by the national Aida real estate group and hers was just one of the many honours claimed by the group’s Pretoria franchise. 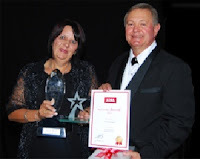 Pretoria North estate agent Jackie Meyer wins the Aida Agent of the Year. Her award was presented by Neville McIntyre, chairman of Aida’s parent company Jigsaw Holdings, at the group’s national awards ceremony. The Pretoria East office took home the trophy for the Top Office overall, having won the annual awards for the Top Metro Office and the Top Office (Commission) as well. Pretoria East agent, Sanette Genis was honoured as the highest earning agent of the year, while Pretoria North agent, David Mmantji was named as the agent having sold the highest number of homes, helping boost his office into its position as the Top Urban Office and Top Office (Units). Mariana Louw, also from Pretoria North, claimed the Rookie Agent of the Year title while Ewa Schütt of Aida PretoriaCommercial rounded off a successful evening for the franchise by winning the Non-Residential Agent of the Year award. The awards were presented by Neville McIntyre, chairman of Aida’s parent company Jigsaw Holdings. McIntyre says the awards were made in recognition of the winners’ clear dedication to success through excellence, even in the face of an unpredictable political outlook, an economy hampered by low productivity and rapidly rising household expenses that are putting a severe damper on affordability. “The success of these agents and offices shows once again that Aida is a great family of winners – people with imagination, courage, tenacity, resourcefulness and responsibility,” he says. To survive and prosper in the real estate industry, estate agents must understand and accept the challenge of rising client expectations. To differentiate themselves agents should learn to provide more and much better quality information and advice all the time and without hesitation. This is according to Neville McIntyre, chairman of Jigsaw Holdings, the parent company of the national Aida real estate franchise group. Speaking at Aida’s recent national awards ceremony, he says the message that estate agents worldwide were getting now from clients was that they were expected to be effective, responsive, empathetic, specific and above all, reliable. To differentiate themselves, he says, agents were also having to learn to provide more and much better quality information and advice all the time and without hesitation. “For example, the quality of a simple listing photograph can make all the difference between a potential buyer noticing your client’s property among thousands of others advertised on the Internet. Similarly, he says, clients have much more confidence in agents who are well-prepared and can quickly provide knowledgeable, detailed information on the area they are interested in. They will also more easily trust agents who have learnt to communicate often and have put in the time and effort to become properly qualified and who conduct themselves professionally, he says. However, McIntyre says, agents also need to understand that clients will quickly see through them if they are only ‘going through the motions’ of being professional. To survive and prosper, the real estate industry must understand and accept the challenge of rising client expectations. So says Neville McIntyre, chairman of Jigsaw Holdings, the parent company of the national Aida real estate franchise group. 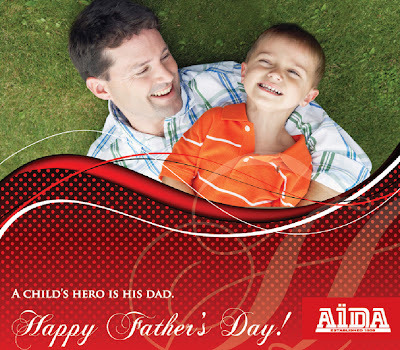 Speaking at Aida’s recent national awards ceremony, he said the “message” that estate agents worldwide were getting now from clients was that they were expected to be effective, responsive, empathetic, specific and above all, reliable. To differentiate themselves, he said, agents were also having to learn to provide more and much better quality information and advice, all the time and without hesitation. “For example, the quality of a simple listing photograph can make all the difference between a potential buyer noticing your client’s property among thousands of others advertised on the Internet or not. And you don’t get a second chance at that. However, McIntyre says, agents also need to understand that clients will quickly see through them if they are only “going through the motions” of being professional. The world-wide expectation is that a scarcity of capital will prevail in 2013, resulting in no increase in mortgage lending. 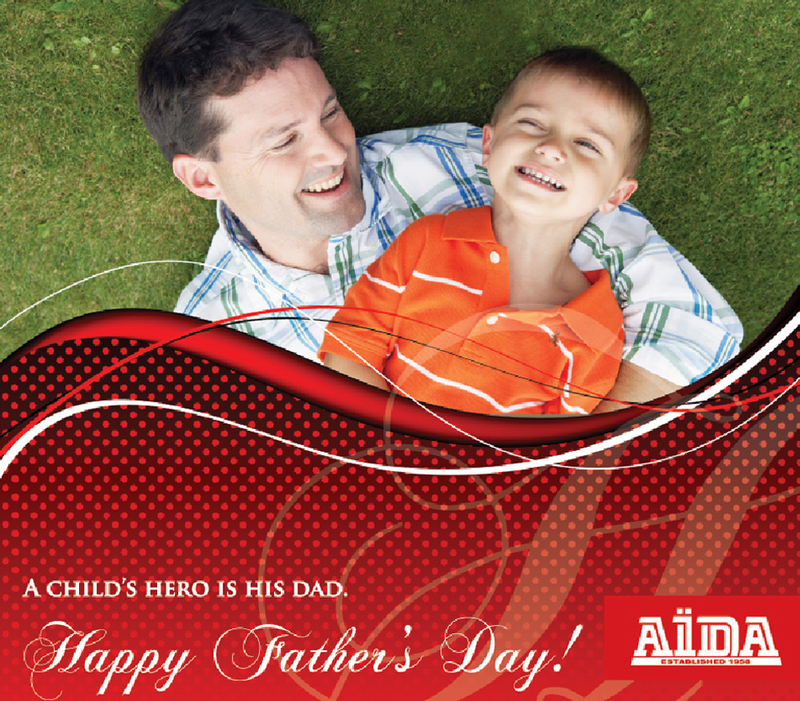 So says Neville McIntyre, chairman of Aida's parent company Jigsaw Holdings, says. "The demand for housing, on the other hand, is set to increase dramatically, so we foresee a slight increase in the number of property transactions and in the number of new developments coming to the market. There will also, of course, be strong demand for rental properties, which will be good for buy-to-let investors and prompt an increase in investment purchases." He says large numbers of "distressed" properties being brought to market by the banks and sold below market value will suppress home prices in 2013. These "bargain" properties will sustain activity and awareness and make home ownership more accessible for quite a number of people. McIntyre also says that a lack of skills and capacity in government and planning departments, as well as in some deeds office branches remains of serious concern to the property industry. It causes major delays in developments, zoning approvals and transfers, and that has financial implications for everyone in the property sale chain. Rudi Botha, chief executive of mortgage originator BetterBond, doesn't expect any rise in the prime interest rate until at least the end of 2013. But many prospective homebuyers will remain unable to take advantage of low interest rates that make home ownership more affordable, so there is also unlikely to be any significant rise in home sales or prices next year, he says. "The problem is that many households still have just too much debt to qualify for home loans, and the situation has being exacerbated this year by huge growth in unsecured lending, particularly by loan sharks who take advantage of consumers and charge exorbitant interest rates that just sink people deeper into debt." He believes the banks, while retaining their strict credit criteria, will be focusing more on secured lending next year rather than personal loans and other forms of unsecured lending, and this will encourage consumers to pay down their debts and save the deposits they need to get home loans at advantageous interest rates. And that should bring about an improvement in home loan grant rates and home purchases towards the end of 2013. Botha says first-time purchases, which account for 40 percent of the total, will continue to be the main drivers of the market next year, as they free up existing owners or developers to make further purchases or start new projects. "We do, however, expect buyers at all levels to respond to ever-rising food, fuel and utility costs, and higher property taxes, by continuing to 'buy down' to smaller and less expensive properties, and this will also constrain house price growth, especially in the upper sectors of the market." Berry Everitt, managing director of the Chas Everitt International property group, says 2013 will be the year when property developers start making a moderate re-entry into the market. "There has of course been some development at the lower end of the market for the past few years, because buyers in this sector are often subsidised or able to gain special access to 100 percent home loans. However, I expect developers will become increasingly active in the R650 000 to R850 000 price bracket where the banks are lending well, especially on newly-built homes." He believes banks will continue, for most of next year, to keep a lid on the market by valuing properties and lending according to bank security value, which doesn't necessarily coincide with market value. "In other words, they will often not be prepared to lend as much as the prospective buyer is willing to pay, leaving serious sellers little choice but to lower their prices if they want to conclude sales." An alternative response is for buyers to increase their deposits, but this seldom happens, and it is more likely that buyers will abandon deals if sellers won't budge, and look for cheaper properties. "So either way, this practice is likely to prevent the rising housing demand that we see occurring next year from being translated into rising property prices, as it usually would be. In fact, we don't expect nominal house price growth to top inflation next year." He says major brands will add to their franchise offerings new systems and processes for managing long-term and holiday rental properties, to "recession proof" their franchisees. Lew Geffen, chairman of Sotheby's International Realty in SA, says he expects a much more buoyant residential property market in 2013. "The recession is over, not only economically but also psychologically, and consumers are now much more confident about moving on with their lives and advancing their home ownership plans. Housing demand is increasing at all levels, and although bank caution is slowing sales in the under R1.5m category, this is much less of a problem in the higher price sectors, where buyers generally require finance for a smaller percentage of the purchase price." Sotheby's has experienced a sales surge in the R6m to R10m range, driven mainly by South African buyers taking the opportunity to upgrade to larger and more luxurious properties at the current favourable prices - in the belief that these won't hold for more than another year. Geffen expects overall price growth in 2013 to be constrained at around the level of inflation until more stock is absorbed, but is confident prices will start to climb strongly in 2014, which he believes will be the start of a new boom. Jan Davel, managing director of the RealNet estate agency group, says household finances are likely to remain under severe pressure in 2013, which will limit the ability of prospective buyers to qualify for bonds and become home owners. "On the one hand, the increased consumer demand for credit in 2012 has been matched by aggressive lending for personal loans, and many households will be carrying increased debt loads into 2013. "Then on the other hand, real disposable incomes are likely to shrink due to such factors as Eskom tariff hikes, rising food and fuel prices, higher municipal rates and the introduction of e-tolling in Gauteng. So debt ratios that have been declining will, in many cases, go back up again and choke off demand. Many households will simply not be able to qualify for home loans, despite the fact that interest rates are expected to stay low in 2013. "And those same low interest rates will make it difficult even for those without much debt to grow their savings and pay the substantial deposits that banks so often require now to grant loans." Meanwhile, says Davel, there is an abundance of distressed properties being sold by the banks at much-reduced prices - about 80 percent of current market value, on average - and this will have an additional negative effect on house price growth. "Consequently, we expect relatively low nominal house price growth during 2013, and negative real house price growth, similar to that in 2012." He says the property industry will be going through a "detox" next year, as current estate agents have until the end of 2013 to bring their minimum qualifications up to date, and Continuous Professional Development has also been brought into play. "These barriers to entry, together with legislation like the Consumer Protection Act, rising consumerism, ever improving technology and a much more efficient Estate Agency Affairs Board will all have an extremely positive influence on the industry, since agents who don't pay attention to the new training requirements, skills intensities, rules, procedures and market conditions will be unable to keep up with those who have geared up for a more professional arena. The industry will say goodbye to many of the ' not- so- good' operators," says Davel. Neville McIntyre, chairman of Aida’s parent company Jigsaw Holdings, says the expectation all over the world, and not just in SA, is that a scarcity of capital will prevail in 2013 and that there will thus be no increase in mortgage lending. “The demand for housing, on the other hand, is set to increase dramatically, and because of that we foresee that there will be a slight increase in the number of property transactions and in the number of new developments coming to the market. He says large numbers of “distressed” properties still being brought to market by the banks and sold at below market value will suppress home prices in 2013 – “but at the same time these ‘bargain’ properties will sustain activity and awareness and make homeownership more accessible for quite a number of people”. McIntyre also notes that a lack of skills and capacity in government and planning departments and well as in some Deeds Office branches remains of serious concern to the real estate industry. Demand for homes in Germiston has escalated rapidly in the past three months and stock is being taken up fast with homes that were regarded as overpriced a few months ago now finding ready buyers. Madelein Muller, manager at the local Aida estate office, reports that the market was subdued until the end of winter with plenty of stock available. "But after the July cut in interest rates, excess stock was taken up quickly, even at asking prices that a few short months ago were regarded by buyers as too high. "And at the current levels of demand, we expect that prices may actually start to rise in a month or two as stock becomes scarcer," she says. Entry-level homes are in particular demand and units priced from R650 000 to R750 000 are selling fast in areas such as the city centre, Primrose and Birdview. Buyers are mainly upwardly mobile consumers from surrounding areas such as Katlehong, Vosloorus, Jeppestown and Malvern, who see good value in units with three bedrooms, two bathrooms and a garage in this price range. Homes in the mid-market range are currently also selling well at around R850 000. Properties at this price typically offer up to four bedrooms, two bathrooms, family rooms and a pool and are popular among buyers with families. Larger homes in areas such as Dawn View, Fisher’s Hill and Primrose Hill have also overcome price resistance among the new buyers streaming to Germiston. Priced at R900 000 to R1,1m, homes in these areas often feature good views, and many have separate cottages, granny flats or staff quarters. Most homes have tile roofs, creating an attractive profile on the hillsides. "Compared to median prices for this class of property elsewhere, Germiston offers excellent value - a fact not missed by new middle-class buyers looking to settle their families in spacious homes in established suburbs," says Muller. 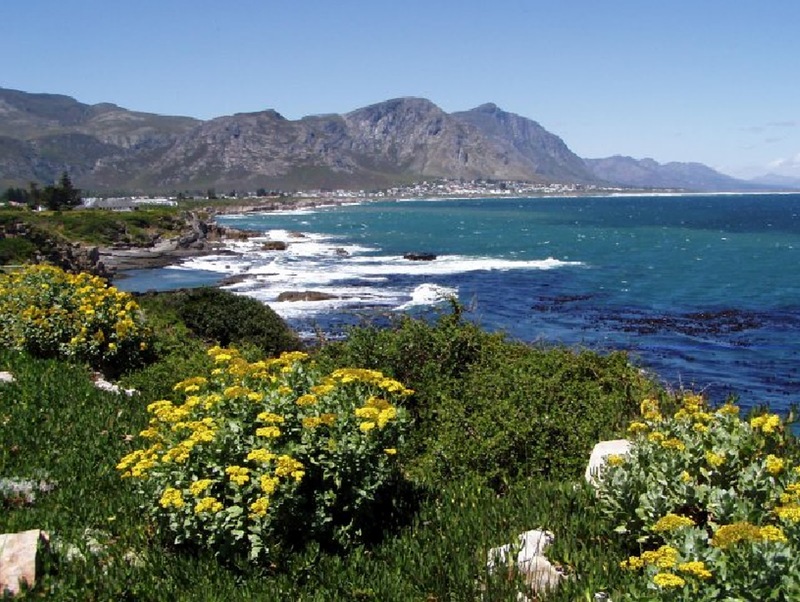 Hermanus, one of the most favourite choices for holiday investors and retirees, is now displaying strong signs of a more stable economy as the town draws more permanent residents. 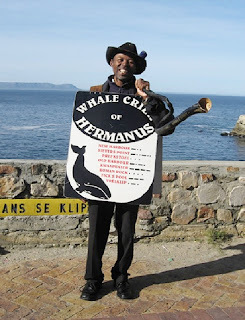 Hermanus is situated on the Southern coast of the Western Cape province has the status of being the best land-based whale watching destination in the world. Southern right whales visit Walker Bay from June through to December and can be viewed from aboard a boat or the shore. Hermanus is home to the world’s only Whale Crier who blows his kelp horn when whales are spotted along the central sea route. With its unmatched picturesque beauty, modern infrastructure and endless adventure options, it’s little wonder that visitors from near and far come to the town to enjoy its many charms while local residents and homeowners savour the privilege of living in this unique region. 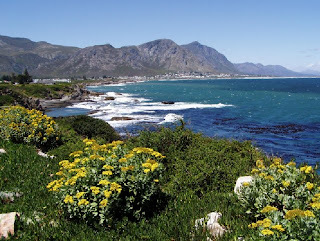 Ludwig Schulenburg of the Aida Executive Hermanus agency reports a definite increase in homebuyers leaving large cities to relocate to Hermanus, mainly due to the secure lifestyle in astonishing surroundings. 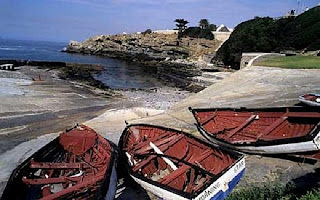 Hermanus is a sophisticated town but has retained some of its historical fisherman’s village heritage. Historically, the town had a holiday economy, but this has now changed due to greater industrial activity. Many mini-manufacturers are setting up shop in Hermanus and exporting products to the rest of the country and even penetrating international markets. Opportunities opened up in the services sector as well and many professionals which include attorneys, medical practitioners and consultants have opened offices in Hermanus. According to Ludwig Schulenburg the infrastructure development is keeping pace with the growing town. The national road is being upgraded, while the lanes of the access road to town are being doubled, which will improve traffic congestion especially in the busy high season. A large shopping centre with Checkers as anchor tenant opened last year, and another with Woolworths Food as anchor is expected to open its doors at the end of the year. Another benefit for permanent residents is the Curro school with its international curriculum that opened in Sandbaai this year. Schulenburg says it was widely welcomed since local schools were finding it difficult to accommodate the inflow of new families with school-going children. He adds that the property market was remarkably active at the beginning of the year and that although sales have slowed somewhat with the onset of winter, the agency is currently listing many quality properties and gearing up for the expected rush when the weather warms up. "Sales so far this year have far exceeded the number of transactions in the corresponding months of the past three years and we view it as a very healthy development that prices have remained stable in the same period. Prices start at around R550 000 for small apartments, while two-bedroom units in secure developments sell from around R900 000. Comfortable family homes in the price range from around R1,2m to R2,8m also find ready buyers. Duisende eiendomsagente het die bedryf die afgelope paar jaar verlaat en die oorblywende agente is nou dikwels besiger as ooit tevore - maar dit beteken nie dat hulle enige huistransaksie net as "roetine" mag beskou nie. Dit is die mening van Ester Odendaal, bedryfsbestuurder van Aida National Franchises. Sy sê voorts: "Huisverkopers behoort nooit 'n mandaat toe te ken aan 'n agent wat nie regtig geesdriftig is oor die vooruitsig om hul eiendom te bemark nie. "Huiskopers het deesdae 'n wye verskeidenheid eiendom om uit te kies en 'n agent met woema kan die deurslag in 'n transaksie gee. Aan die ander kant kan agente wat nie alles uithaal om huise waarop hulle alleenmandate hou te verkoop nie verkopers duur te staan kom - en nie net ten opsigte van bykomende houkoste van die eiendom nie." Eerstens, sê sy, is daar 'n groot risiko dat 'n huis wat nie uit die staanspoor met geesdrif bemark word nie, "perfekte kopers" wat presies so 'n huis wou koop se aandag gaan ontglip. "Dit kan ook meebring dat die verkoper die geleentheid misgun word om sy volgende eiendom teen die beste prys te koop en, laastens, bly dit 'n feit dat hoe langer 'n huis in die mark bly, hoe kleiner word die kans dat dit teen die ware waarde daarvan van die hand gesit gaan word." Volgens die jongste eiendomsaanwyser van ENB duur dit gemiddeld tussen drie en vier maande om eiendom te verkoop maar Odendaal wys daarop dat huise met die regte prys wat goed bemark word in 'n baie korter tyd verkoop word. "Met dié wete moet voornemende verkopers dus seker maak dat hulle kundige raad inwin wanneer hulle besluit hoeveel om vir hul eiendom te vra en moet agente beslis uitvra oor hoe die eiendom bemark gaan word. En hulle behoort aan te dring dat die bemarkingsplan op skrif gestel word voordat hulle 'n verkoopsmandaat onderteken." Aida se agente, sê sy, is altyd bereid om besonderhede van hul mees onlangse transaksies en 'n behoorlike bemarkingsplan met besonderhede oor advertensies en skoudae aan kliënte te verskaf. Many thousands of agents have left the real estate industry in the past few years and those that remain are now often busier than they have ever been – but that doesn’t mean they should treat the sale of any home as “just routine”. That’s the word from Ester Odendaal, operations manager of Aida National Franchises, who also says: “Home sellers should never give a mandate to an agent who isn’t genuinely excited about the prospect of marketing their home. For a start, she says, unless a property is marketed with enthusiasm from the outset, there is a real risk that the sellers will miss out on the “perfect” buyers who were looking for a home just like theirs. “In addition, they could miss the opportunity to buy their own next home at the best price, and finally, it is a fact that the longer a home remains on the market, the less likely it is to be sold for its true value”. The latest FNB Property Barometer, Odendaal notes, puts the current average selling time at between three and four months, but of course many homes that are correctly priced and marketed are selling much more quickly than this. “And knowing this is possible, prospective sellers should not only be careful to take informed advice when setting an asking price, but also be sure to ask agents how they intend to market their property - and for a written plan of how this strategy will be put into operation – before they sign a mandate.” Aida agents, she says, are happy to provide clients with details of their most recent sales as well as a proper marketing plan including advertising and show day proposals. 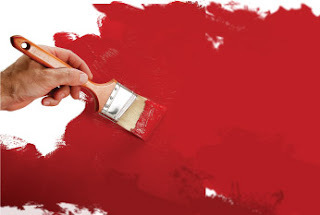 21 May 2012 Home alteration is a necessity for many property owners these days as they add offices, surgeries and studios for home-based businesses, or convert space to accommodate expanding families or ageing parents. Many homebuyers and investors are also deliberately seeking out run-down properties – or “fixer-uppers” – that they can buy relatively cheaply but need renovations or improvements to make them liveable or saleable. However, says Ester Odendaal, operations manager of Aida National Franchises, many of these additions and alterations are being built without proper local authority approvals, thanks to severe backlogs in council planning departments and, in some cases, a desire on the part of the owners to avoid additional rates and taxes. Although both homebuyers and sellers have the legislated power to stop bogus estate agents in their tracks, many are not aware of the steps they can take – or of the dangers of dealing with people who are not properly qualified or registered to handle property transactions. “Much publicity has been given to the new compulsory qualifications for estate agents,” notes Ester Odendaal, operations manager for Aida National Franchises, “and since most of the national real estate groups like Aida have gone to great lengths to ensure that all their agents attain these qualifications, there has been a significant increase in professionalism in our industry. “In addition, the past few difficult years in the property market have brought about a steep decline in agent numbers. But these two factors taken together don’t mean that there are no unqualified and unscrupulous people out there, acting as agents and taking homebuyers and sellers for a ride. The biggest danger, says Odendaal, is for homebuyers who might hand over a deposit to a bogus agent, “and there have been several sad cases publicised in recent years about desperate people who did just this in the hope of securing a stand or a home off plan, only to find that the ‘agent’ was nothing more than a con artist who then vanished with all their money”. Also at risk, of course, are landlords and tenants whose investments and deposits are not in the hands of registered agents with properly audited trust accounts. However, the actions of a bogus or under-qualified agent can also badly affect home sellers – and now especially in the light of the CPA, since they are the ones who will most likely have to rectify any misrepresentation made by that agent to buyers, possibly at great cost. After a quiet start to the new year, property sales activity along the South Coast of KwaZulu-Natal has recently picked up sharply, with both local and upcountry buyers streaming in to snap up seaside properties at “bargain” prices. In Amanzimtoti, says Deidre Ronnenberg, owner of the local Aida office, the biggest driver of this activity is news of Transnet’s R100bn plan to turn Durban’s former international airport site – just 11km from ‘Toti - into a new dug-out port. Another factor driving sales all along the South Coast, she says, is the fact that real-term property price growth is expected to turn positive soon. “The latest Absa figures show, for example, that although they were coming off a low base, home prices on the South Coast rose 7,5% yoy in the last quarter of 2011. And looking at this, many retirees and holiday-home buyers as well investors now believe that the local market has passed its bottom and are keen to secure property here before the upturn gains much more momentum. What is more, Ronnenbergh says, budget-conscious KZN buyers are increasingly choosing to live permanently on the South Coast, where prices compare very favourably to the residential areas north of Durban. “In Amanzimtoti, for example, one can still buy a spacious two-bedroom beachfront flat with a garage for around R650 000. Further down the South Coast, says Aida area expert Glen Tweedie, there is a high demand at present for homes in retirement villages. 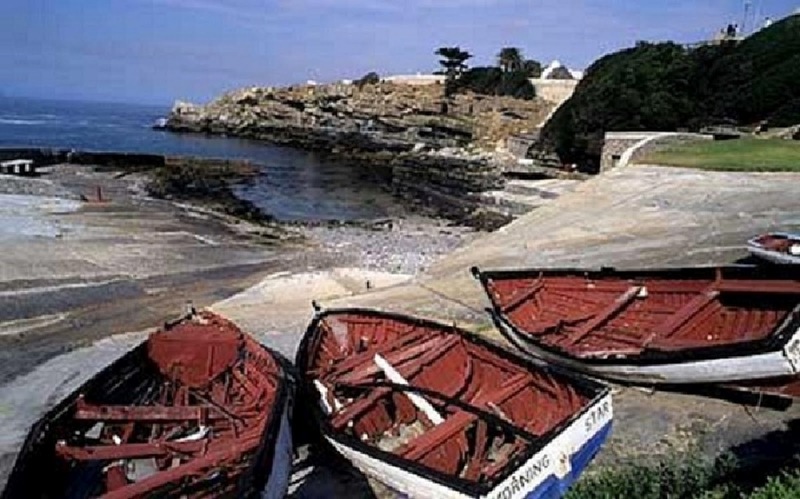 “This stretch of coast is of course one of SA’s most popular retirement destinations, and it is estimated that there are some 400 000 senior citizens resident between Umkomaas and Port Edward. Prices for two-bedroom, two-bathroom homes in established retirement villages along the lower South Coast start from around R750 000, while two-bedroom apartments and townhouses suitable for letting or as holiday homes are available from around R600 000, and R700 000 with a seaview.